CSUN Educational Opportunity Program Resilient Scholars prepare to choose and test out their new bikes, June 21, 2017 at the Chicano House on campus. Photo by David J. Hawkins. CSUN Educational Opportunity Program Resilient Scholars choose and test out their new bikes, June 21, 2017. Photo by David J. Hawkins. Bikes4Orphans staff receives a certificate of recognition from the office of Mayor of Los Angeles Eric Garcetti. Photo by David J. Hawkins. 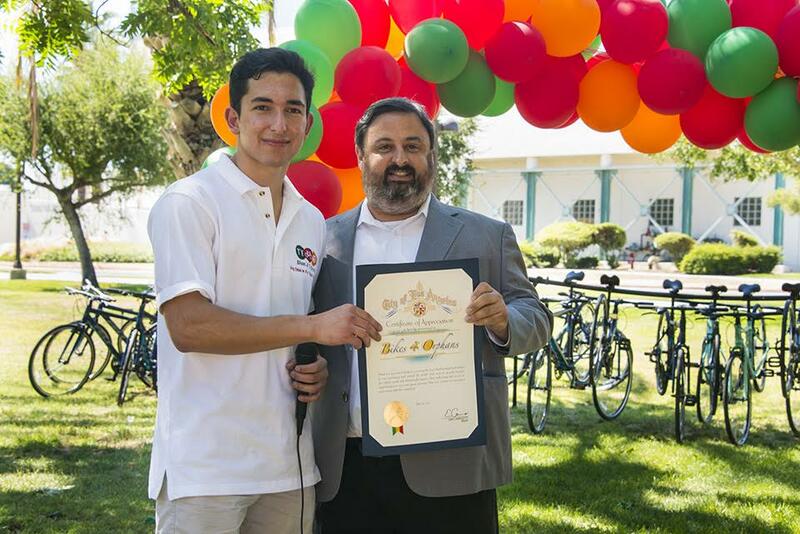 On June 21, nonprofit organization Bikes4Orphans teamed up with California State University, Northridge’s Educational Opportunity Program (EOP) Resilient Scholars Program for the first time to give away 17 bicycles to foster youth students. The Resilient Scholars Program prepares CSUN students for university life by administering tools to become successful in college. To help aid this transition, CSUN and EOP teamed up with Bikes4Orphans, an organization that donates bikes to third-world countries to provide youth with reliable transportation. 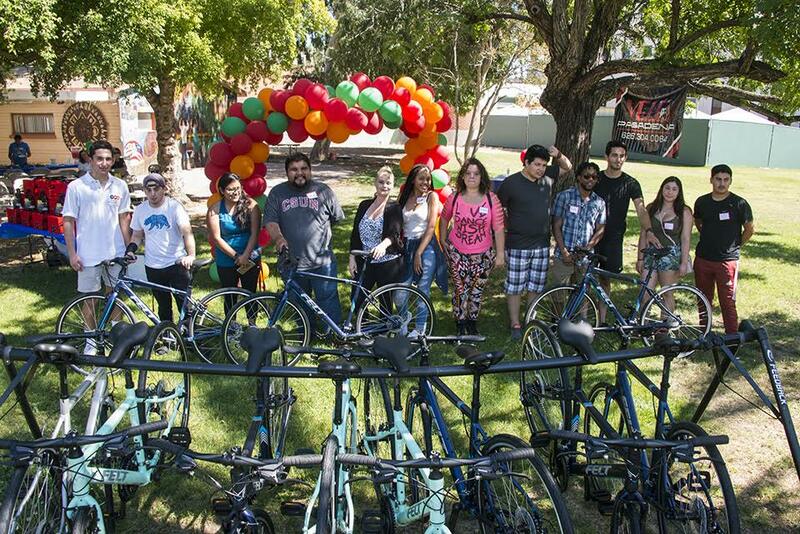 “The students that are receiving the bikes are all foster youth or orphans, so it really helps them because many of them don’t have transportation, and a lot of them will be staying at the dorms or close to the dorms,” said Jina Gonzalez, Resilient Scholars Program coordinator. Bikes4Orphans supporter All Saints Church Foster Care Project suggested the bike donation to CSUN Professor Melanie Williams. The bikes will help the students navigate the campus with ease, Gonzalez said. 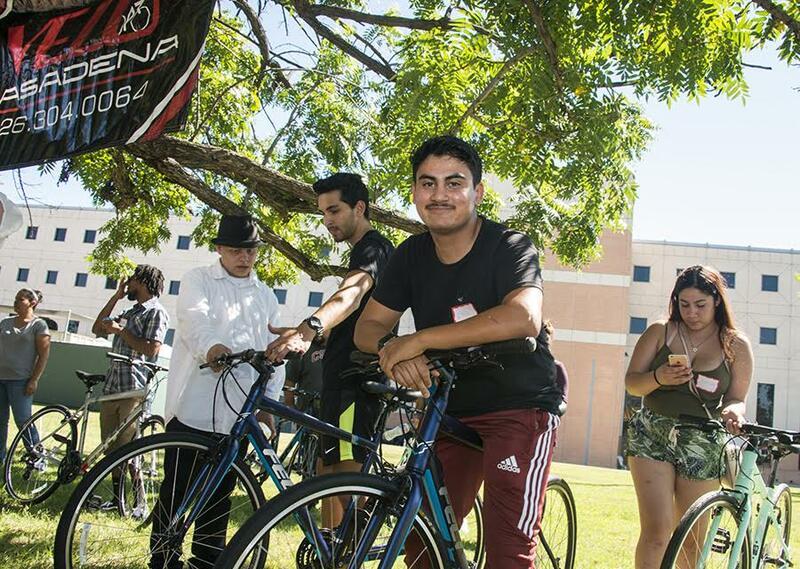 Getting a bike was empowering, but also a great way to stay healthy, said Resilient Scholar Miguel A. Rodriguez. “It feels enabling, empowering and motivational to move about and go out more and maybe be on time,” Rodriguez said. Bikes4Orphans officials noted that they send most of their donated bikes overseas, but want to focus more on helping local students. According to the organization, only 3 percent of foster youth graduate from college. Bikes4Orphans spent long days fundraising to provide the money for the bikes, helmets and locks for the students. The June 21 bike distribution, which took place at CSUN’s Chicano House, included an informational session on how to use the bikes and locks, as well as helmet fittings. ​​CSUN Department of Chemistry faculty Kayla and Mike Kaiser run an organization called BikeCar101. 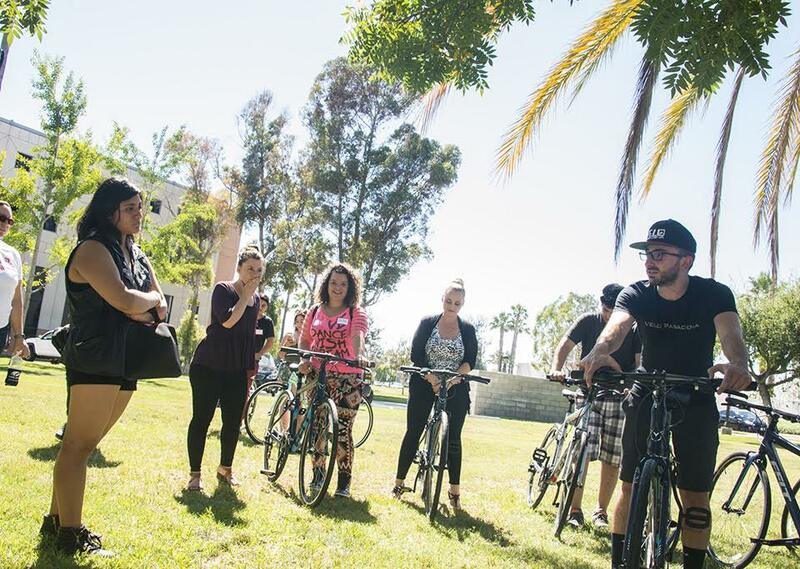 They participated in the info session to help spark a love of bicycles in the EOP students. “We want to make sure that [the students] form a loving bond with their bicycle, meaning they take care when they lock it up, and that they’re comfortable with the gearing system,” Kayla Kaiser said. For more information about CSUN’s EOP Resilient Scholars program, please visit https://www.csun.edu/csun-eop/eop-resilient-scholars-program-rsp. For more information about Bikes4Orphans, please visit http://bikes4orphans.com.